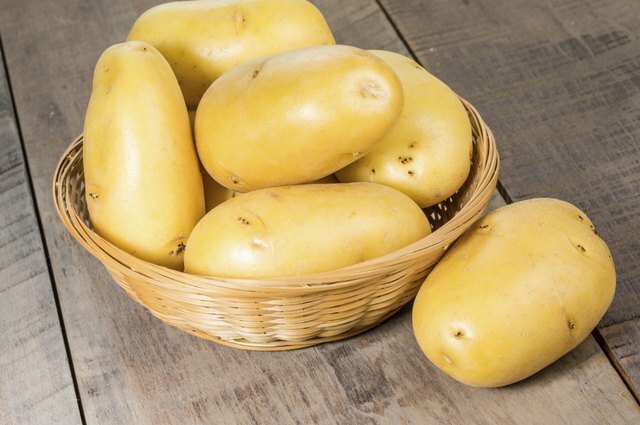 As the name suggests, Yukon gold potatoes are yellow in color and medium sized. These potatoes have a buttery texture and moist flesh, which makes them suitable for oven roasting, as well as a staple that can be paired with most meals. To prevent them from developing a soggy texture, roasted potatoes are best served fresh. A drizzle of olive oil can help you achieve a crispy and fluffy roast in about 40 minutes, while adding seasoning and herbs will enhance the flavor. Rinse the potatoes under cold water. 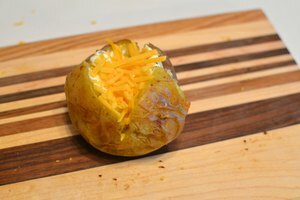 Cut into wedges with the skin intact and transfer them into a large bowl. Pour the olive oil into the bowl and toss the potatoes with the oregano, rosemary and garlic cloves. 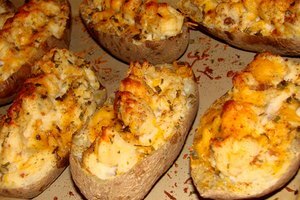 Arrange the potatoes cut-side down on a baking sheet, sprinkle them with salt and pepper and place them in the oven. Shake the baking tray every 10 minutes; roast for about 40 minutes, until the potatoes are golden brown. Serve them while they are hot. 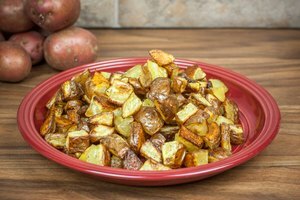 Roasted Yukon gold potatoes are compatible with meat-based dishes. Serve them with grilled lamb chops or a pan-seared steak. Potatoes also go well with crispy bacon fried with finely diced onions. 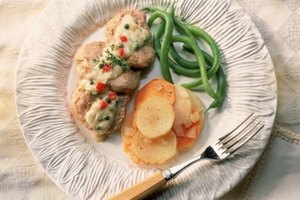 Cook the bacon before preparing the potatoes; replace the olive oil with bacon fat for a variation in flavor. You do not need to add salt. Reduce the cooking time to about 30 minutes if you want to avoid shaking the baking tray every 10 minutes. 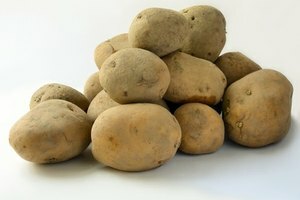 Cut the potatoes into cubes rather than wedges and add them to salads or soups. Sprinkle 1/4 cup parmesan onto the potatoes halfway through the cooking time for a varied taste. Francis Keaveney has been a chef and writer since 2011. He has worked in Japan, Korea and is currently based in London. He holds a Master of Arts in contemporary history from Birmingham University.